Rather than using traditional bowling averages, we have focused on ‘wickets’ per match’ after all the betting markets are determined by wickets taken, therefore that is the obvious starting point. The first thing to note is that England’s bowling attack is vastly more experienced. England’s bowlers have played on average twice as many Tests as their Australian counterparts. This is even more noticeable when you see how little overseas experiences Australia have. Excluding Tests on the sub-continent, the Australian bowling attack has only played a total of 34 matches in conditions similar to those they might face in England. If you look at Alastair Cook’s three front-line seamers, they all average over 4 wickets per match in home Tests. In Michael Clarke’s stable of bowlers, only James Pattinson averages 4 wickets per match. That means the entire Australian bowling attack will need to produce near career best performances just to compete. 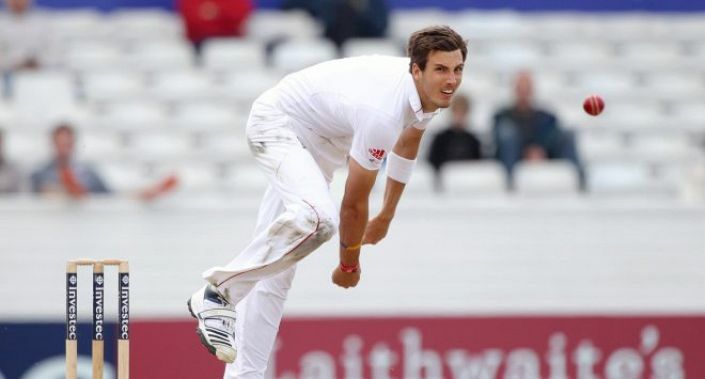 James Anderson is 4/1 (Stan James) to be the leading wicket taker in the series but from a purely statistical point of view Steven Finn should be favourite, as he takes the most wickets per match on average. The Middlesex paceman is available at 12/1 (Ladbrokes) to be the Series’ leading bowler.